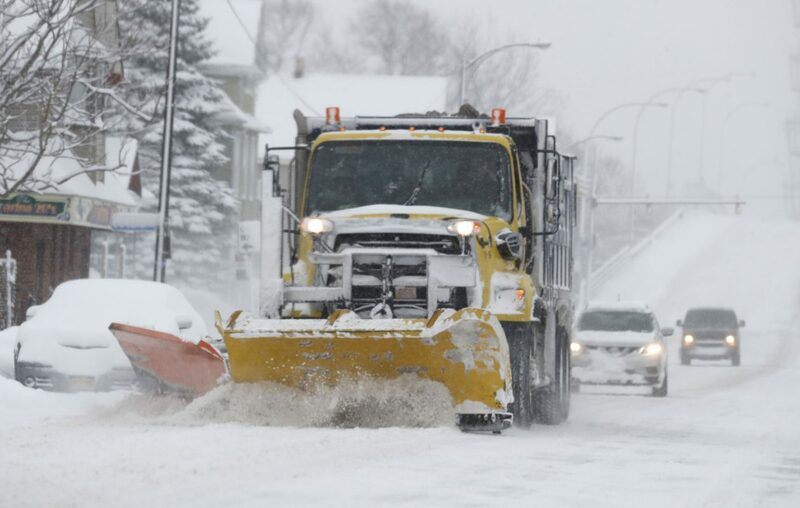 The blizzard blasting Buffalo and the Southtowns Wednesday has prompted the Erie County Public Works Department to pull its plows from the roads in and around Aurora and West Falls, officials said. "Aurora District has zero visibility on Cole, Omphalius, Lower East Hill, Center, Vermont Hill, Centerline, Holland-Glenwood, Lewis, Partridge, Phillips, Savage Road, Routes B, D, S, R, & E all have zero visibility. For driver safety we are pulling trucks from those routes," they tweeted. In the meantime, Erie County has declared a state of emergency and banned travel in many towns. "All travel is prohibited. All cars must leave roads," Erie County Executive Mark Poloncarz tweeted.